With Tiny Arms Like That Who Can Blame T-Rex? 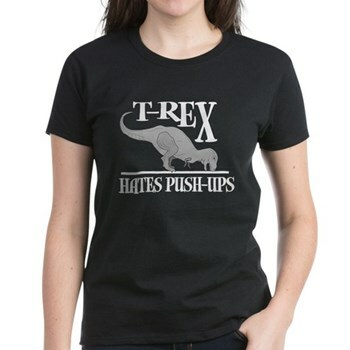 T-Rex shirts examines why T-Rex hates pushups. 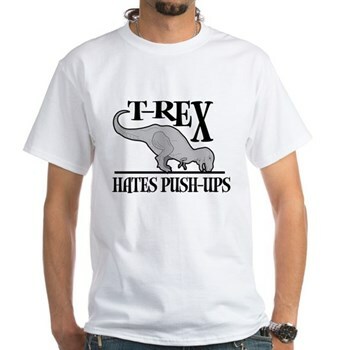 Hey, no normal person really likes pushups, I mean it's just an unnatural thing to do with one's body. But imagine if you were a T-Rex, gigantic head and tinie tiny arms. Not fun. 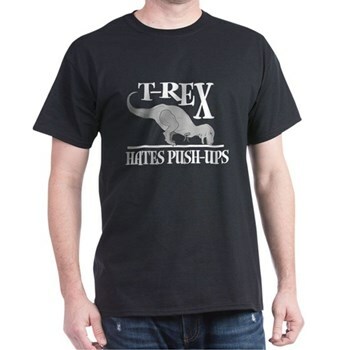 I have my T-Rex shirt design in both light and dark flavors so that you can have the gamut of color choices. 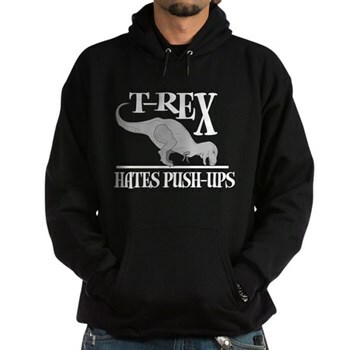 T-Rex is available on shirts to fit anyone in the family and there's a lot of cool styles available too. The thumbnail images on the lower right are just a sampling. There's much more cool stuff with this design.